DNA Genetics Seeds are a well established and respected American Marijuana Seed company based in Amsterdam. 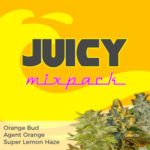 With over fifty different Cannabis and Marijuana Seeds on offer, they offer a wide and diverse assortment of high quality Seeds suitable for all requirements. DNA Genetics Seeds OG LA Affie is the genuine original LA Affie, a great Medical Marijuana strain, perfect for relieving pain and eliminating insomnia. Extremely strong and psychedelic, OG LA Affie is potent, but with an energetic high. 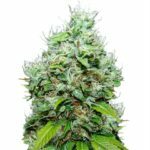 DNA Genetics Seeds OG LA Affie is predominately an Indica Marijuana Seeds and enjoys a short flowering period of between 45-56 days to reach optimum maturity. The variation in flowering time is due to the difference between the two phenotypes produced by this strain. This is a great strain for beginners and more experienced growers alike, enjoying plenty of nutrients, so reducing the risks of over-feeding for beginners. OG LA Affie is best suited with a period of vegetative time to develop strong lateral branches, and is ideal for Screen-of-Green (Scrog) indoor growing techniques to ensure the maximum yield possible. DNA Genetics Seeds have produced a classic Kush variety containing the unique flavor and aroma of the LA. DNA Genetics Seeds LA Chocolat is a hybrid combination of two of the very best and highest awarded Marijuana Strains from DNA Genetics Seeds, LA Confidential and Chocolope. These two highly prized strains have combined to produce one of the very best strains DNA Genetics have produced, and in feminized Marijuana Seeds form. 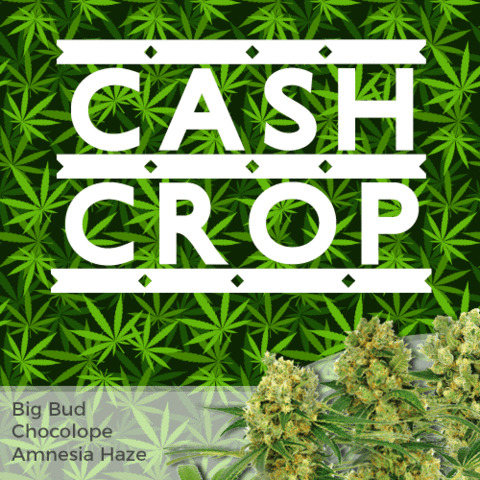 Both Chocolope and LA Confidential have considerable attributes, Chocolope is sought after for its high yields, a devastating and well know cash-crop variety. While LA Confidential is recognized as one of the most powerful forms of Medical Marijuana available, and commands some of the highest prices in the Medical Marijuana Dispensaries. With a flowering period of only 8 weeks, or 56 days, LA Chocolate is fast flowering feminized Marijuana strain with a high calyx to leaf ratio, ideal for indoor Sea-of-Green or Screen-of-Green techniques. The overall height is manageable, mainly due to the reduced stretching by selecting the phenotype with the LA Confidential growing structure, and grown in a Screen-of-Green system will easily produce large harvests of high quality buds. Once completely matured, only needing eight weeks, quick enough for even the most impatient grower, DNA Genetics Seeds LA Chocolate maintains the deep earthy, rich chocolate aroma and taste associated with DNA Genetics Chocolope, while including fruity undertones from the medicinal LA Confidential. Reports show that DNA Genetics Seeds LA Chocolat is a recommended Medical Marijuana strain that is suitable for pain relief and acts as an appetite stimulation for both cancer and chemotherapy patients. The last featured and new Cannabis and Marijuana Strains from DNA Genetics Seeds is Chocolate Fondue, a predominately Sativa hybrid strain consisting of two of the best and most popular Cannabis strains of Cannabis currently available. Using the true Exodus UK Cheese clone and by fertilizing it with DNA Genetics Seeds Chocolope, a melting strain comprising of the most popular Marijuana and Cannabis genes was born. The original Cheese clone , known as Exodus Cheese is the original hybrid enjoyed throughout Europe and especially Great Britain contained in many cheese strains. 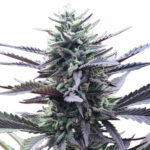 Available only in clone form, the Exodus Cheese Marijuana is unavailable as an F1 hybrid seed, this is because there is not a true male of this strain. 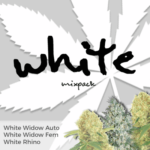 However, many Cannabis Seed producers and company’s have used Exodus Cheese as the female, and pollinated it with their own particular strains. As a result the demand for Cheese Weed has increased dramatically across the United States of America and because of this DNA Genetics Seeds, probably the most popular and awarded breeder of American Cannabis Seeds has created a new hybrid variation combining the original Exodus Cheese and the DNA Genetics Seeds original Chocolope. DNA Genetics Seeds Chocolate Fondue some of the most sought after attributes of both the Chocolope and Cheese strain. Returning a Sativa dominant strain, the influence of the Cheese Indica genetics has reduced the maturing time to between 54 and 63 days, perfect for indoor Marijuana gardeners. You can buy DNA Genetics Seeds at the cheapest prices online by clicking below.